This week’s post is going to be a little different. It’s a post I have started, stopped, written, re-written and probably will re-write as I type it out here on the blog. July 8, 2016, will be the 5 year anniversary of my sister Aimee’s graduation into heaven. 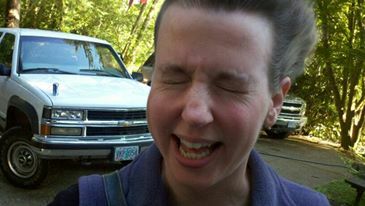 To make it a bit of a double whammy, she stopped fighting her cancer 2 days before her birthday on July 10th. I don’t talk to a lot of people about the months leading up to those final days or about how hard the rest of the year was, there are a few people who know. The writing of this post has left me feeling drained and rather emotional. But, for some reason it seemed that it was something that needed to be written and shared. I’m a traditions and anniversary kind of gal and when these are not properly observed, life feels off to me. So, it is not a total surprise that this 5 year anniversary is being hard. Late June and early July are never easy. My mind goes back to those last few weeks as I remember what we were doing, what we were dealing with, and how my sister was during that time. Even July 4th will never be the same. I remember watching fireworks, just down the street from the house, atop huge piles of gravel. We wanted the kiddos to have a chance to see fireworks, but for the adults our minds were still back at the house. We serve a gracious God and He gifted us with laughter, music, friends, family, and special moments, during those final months. A steady stream of family and friends flowed in and out as we sought to spend as much time together as possible. In the midst of the emotions, the questions why, and the anguish and grief, there were moments of joy. There were special times with those who came to visit. There was love that flowed to and from my sister, it was incredible to see. 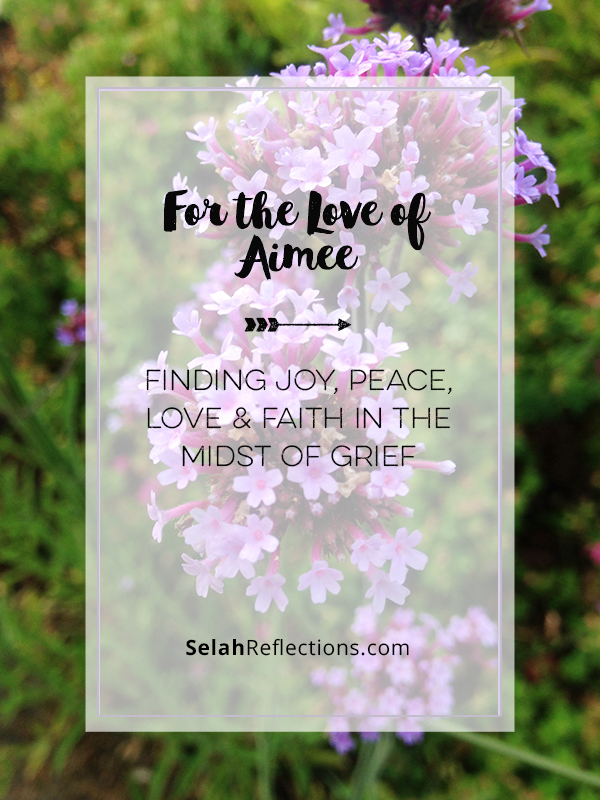 The comments we would hear about how Aimee was touching lives through her calm, her faith, and her peace were such a blessing. There was laughter as we shared stories, told jokes, and even played with a leaf blower to see who would have the funniest face as a result. Here is mine :), but mine was definitely not the funniest! There was even the “joy” of losing water because the well went dry and needed to be drilled deeper! Yep, that happened too. The night she passed away I got to witness one of the hardest, most beautiful things I have ever experienced in my life. As she took her last breath, surrounded by a small group of friends and family, there was a peace that certainly passed all understanding. There were tears of course, but there was also joy as we prayed. We were thankful she was no longer struggling, and rejoiced in knowing, without a doubt, where she was, and that we would see her again. The months after her death were also incredibly hard, each of us grieving and coping as best we could. But, even in the midst of the grief and tears, there were bright spots of love to be found. I had the incredible opportunity to spend a lot of time with my nephew. I had moved down to help take care of him as he stared Kindergarten. That is a time I treasure and will never forget. Aimee’s best friend, Tiffany, has become like a sister to me and she and her family have made me part of their family. And you know what? I finally moved to the Oregon Coast, a place I love to explore and photograph! It was something I had thought about doing but never thought the opportunity would come. There were long walks on the beach with Bailey, collecting of shells, and lots of picture-taking. Life is hard, and at times excruciatingly hard. It’s filled with health issues, relational issues, financial issues, emotional issues, and spiritual issues. Sadly Aimee’s battle with cancer has not been my last to witness. My picture book “Be Still & Know That I Am God” is filled with my friend Marilyn’s favorite verses. I created it for her as she was fighting lung cancer. My sister-friend Tiffany has been dealing with breast cancer for the last year and a half – you can read more about her journey at TiffanyAOlson.com. Aimee’s death is also not the last I have witnessed. I was there with my friend Marilyn and her daughter (also a long-time friend), as she took her last breath and was ushered into heaven. I have no answers why that any of these things have happened. But, what I do know, is that when I look back I can see God’s hand moving and directing events along the way. I see His provision and care. Life is a journey that has to be taken step-by-step. When we take that next step in faith, God does provide a place for our feet to land. It may not be an easy step, in fact it may be incredibly hard. And we don’t always understand His reasons or the direction He is taking us, but we learn to take that next step anyway. Taking that next step, even in the midst of the grief, the unknown, and the unseen, knowing God will never leave us or forsake us, isn’t that what faith is? You can read more about my sister at ForTheLoveOfAimeeO.com. 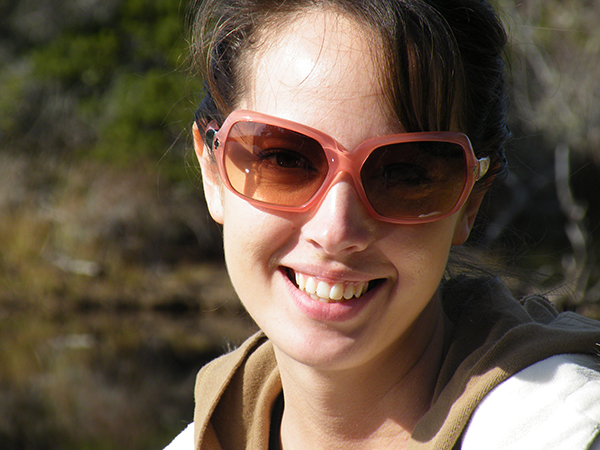 It’s a website started to collect and share stories and memories of Aimee. One more tradition to observe this weekend, on her birthday, we will sign balloons with messages of love to Aimee and release them to the sky. Dear Marta, such beautiful tributes to your precious sister. Thank you for sharing all the wonderful pictures and memories. There is so much mystery in life. I’m sorry you have been touched by so much loss. It definitely wasn’t easy but it felt like I needed to do. 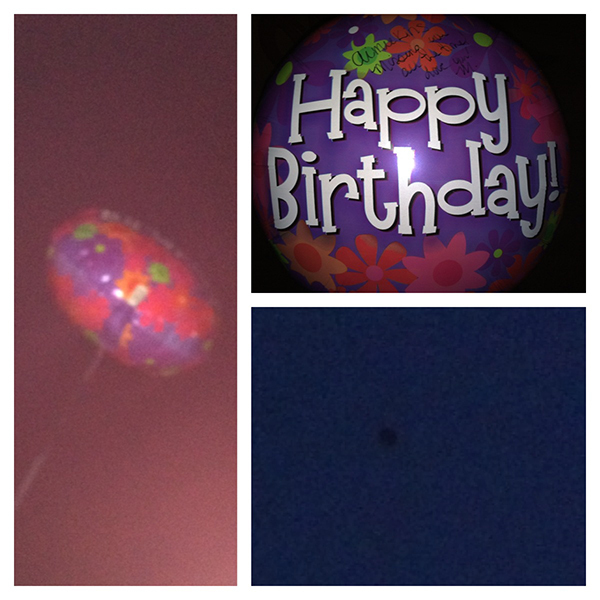 Love you Tiff!! Beautifully, sensitively, thoughtfully written. Being with Aimee and you and Tiffany and the others when Aimee graduated to heaven was the most gut-wrenching, life-changing, and awe-inspiring event I’ve ever been involved in. 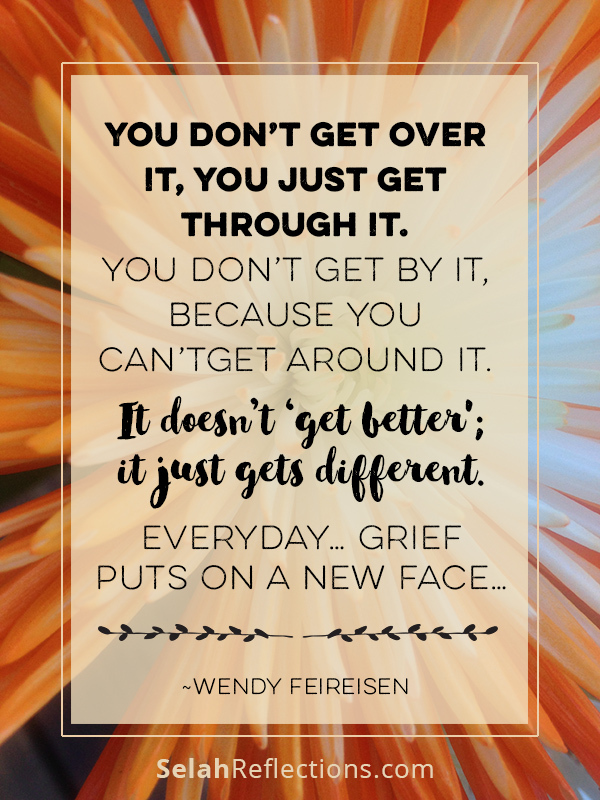 Right up there with getting married and birthing children–but with the grief component added. Moving from physical life, limited by time, to entering eternity is…well, huge. Aimee’s navigation of it all was truly buoyed by God’s grace.